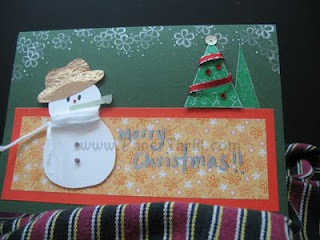 We had two customized orders for Christmas card with a snowman in it. 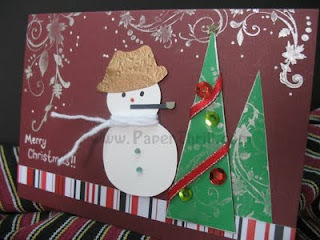 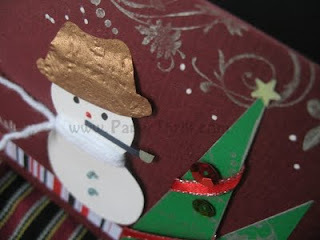 On both cards, a cute snowman is wrapped with woolen scarf, mimicks smoking a pipe and wears an oversized hat. 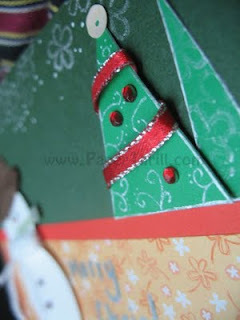 Dots of snow, silver swirls and shimmery flowers adorn the top of the card creating a Christmas-sy backdrop.